Critical Link provides board design services and production for many of our most successful customers. Our team designs hundreds of boards every year, from very small footprints that minimize size, weight and power, to large, complex, high layer-count designs. Baseboards provide the connection between the System on Module (SOM) and the external interfaces in your system. Critical Link has developed hundreds of baseboards, from simple development kit cut-downs, to integrating a wide variety of digital and analog interfaces to meet complex product needs. Our extensive work in industrial, medical, and scientific markets complements our ability to develop everything from high speed analog interfaces, to highly accurate, low speed interfaces. Our unique capability to develop a custom SOM, specific to your needs, lies in our design expertise, broad embedded systems engineering experience, hardware and software development skills, and our vast knowledge of digital and analog signal processing. SOMs can also be customized from our off-the-shelf variants in order to meet specific requirements or to minimize recurring costs. This approach has been proven for customers across a variety of applications, including scientific and medical instrumentation, test and measurement, radar, factory automation, defense, broadcasting, temperature monitoring, quality testing, and more. 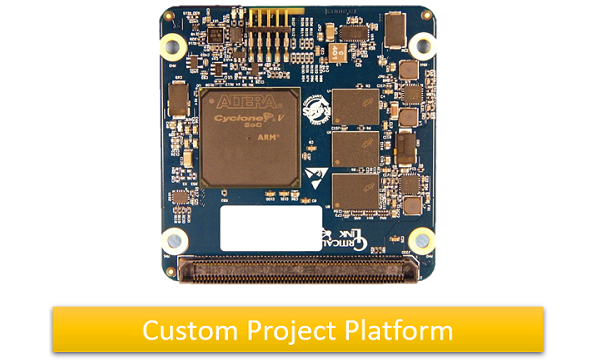 In cases where the SOM approach is not feasible, Critical Link works with customers to develop Single Board Computer (SBC) solutions. As with our SOMs, Critical Link has the capability to design SBCs around a variety of processors, memory, and I/O to meet your requirements. With the development of a custom baseboard, generally a customized board support package is also required. 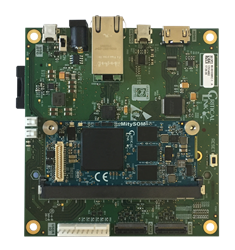 Critical Link provides a base BSP for each of our SOMs and can easily adapt it to your baseboard, including the drivers and interface software and firmware, to provide a comprehensive BSP that will support your entire hardware platform.